I’ve been slowly, but surely, getting the questions asked during my SharePoint Saturday Boston presentation, so, here goes the next one. Can you combine multiple custom actions within a feature? 8:                 Title="Custom Action Locations and Ids"
The person who asked this question had a business need to create a lot of custom actions, however, did not want to have a feature built for each one, even though features are handy ways of deploying functionality to SharePoint, if you have hundreds of features, that can become a management nightmare. I also mentioned, that what you can do is separate these out into functional ElementManifest files – as you can have any number of them defined in your feature, and they do not all need to be named elements.xml, or manifest.xml. A good example of this can be seen in the 12 Hive FEATURES folder, looking at some of the built in CustomAction elements and CustomActionGroup elements. For instance, if you wanted to break out your manifest definition files into one for each CustomActionGroup, you can do so easily, by specifying different files – code example below. 5:          Description="Custom Action Grouping example"
This will make not only the management of features easier within SharePoint as far as managing what gets activated, also the management of the solution as well, so you are not managing 400 CustomAction elements within a single file, you can break them out as needed. And to answer the question before it gets asked in this entry’s comments – the CustomActionGroup does not need to be defined within the same file as its CustomAction elements. You could break it down into CustomActionGroups.xml and CustomActions.xml if you’d like to separate them out. Again – the names of the ElementManifest XML definition files do not matter – as long as they are referenced within the feature.xml file (this filename MUST be feature.xml), then you are all set. They really do not even need to have an XML definition, as long as it is declared at the top of the XML file, they will be interpreted as XML files. During my session at SharePoint Saturday Boston – I mentioned that I would look into just what exactly RecurrenceId does, and make a post about it here. RecurrenceId is a token that is available for the URLAction element within the CustomAction element. Returns the identifier (ID) of an instance of a recurrent item. Paul Grenier (AutoSponge) who was attending my session, was spot on with his guess. The RecurrenceId property would be useful in the URLAction element to specifically identify a recurring event list item, and to only act on that specific item, as recurring events within events lists are just one single list item, and not copies of the original with their own specific GUIDs. They have the same GUID as the original event, however, just have an incremented RecurrenceId that can be used to directly identify that specific occurrence of the event. More information on this SPListItem Property can be found here in the WSS 3.0 SDK: SPListItem.RecurrenceID Property (Microsoft.SharePoint), however, there is not much there. 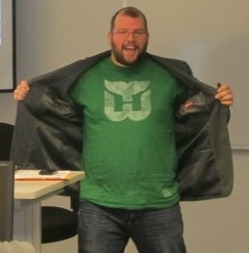 As of my session on Saturday, I had never needed to use this attribute before in my travels, and virtually the only documentation on it I could find before SharePoint Saturday Boston, was that you cannot use it with the Edit Control Block. This doesn’t make much sense to me however, why it is even available, as I would think the only time this would be useful, is to directly interact with an event list item from the Edit Control Block. Anyhow – there is now a blog posting out in the wild for others to consume regarding the RecurrenceId attribute. I hope this helps someone else out. 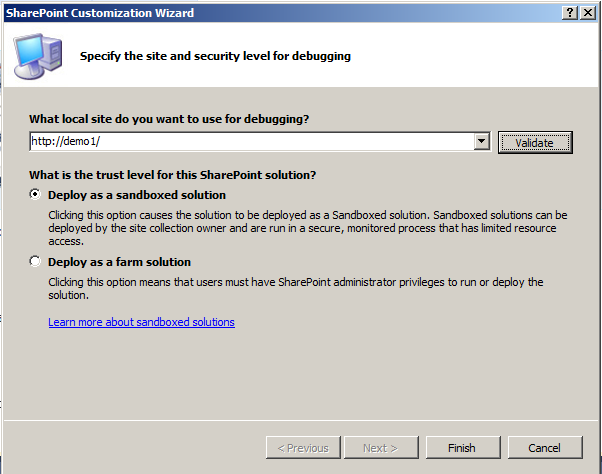 A good example of a custom action feature in SharePoint is a recently released project to CodePlex – GraceHunt.SharePoint.Features.SiteActionsRecycleBin, which adds a link to the Site Actions menu on any site collection it is activated in, to provide a link to the recycle bin of the current site. 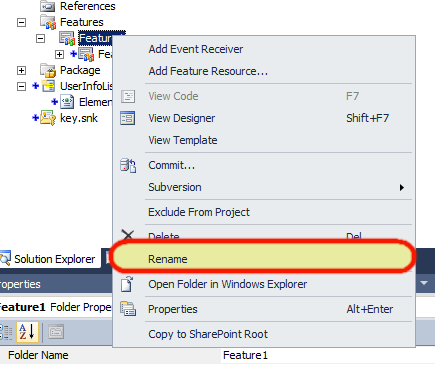 The reasoning behind this post was to list a few great resources which help in building custom actions for SharePoint. John Holliday has a great (sortable and exportable to excel) list of all of the custom action identifiers, available here: http://johnholliday.net/resources/customactions.html, which lists the Id, GroupId, Location, Sequence, RegistrationType and RegistrationId of all of the Custom Actions built into SharePoint. This can also be useful to assist in figuring out the sequence number for installing your custom action feature in SharePoint, so you can insert it before or after other items that are currently there. I hope this is useful information, and if you have any resources that should be added here, just leave a comment below, and I will add it to the list. 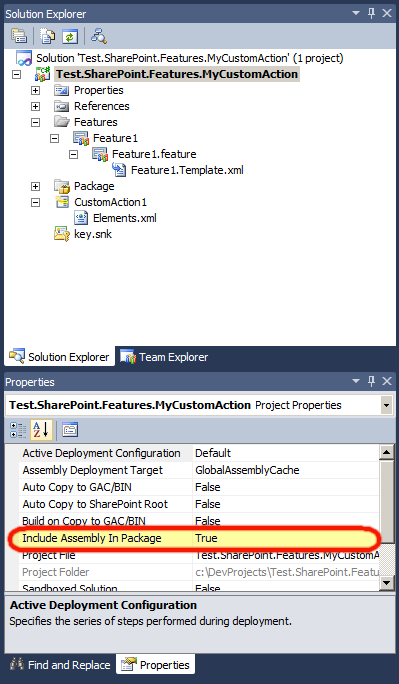 Over at SharePointDevWiki.com, there is a growing amount of information regarding custom actions. Jan Tielens has a good article on Adding Breadcrumb Navigation to Application Pages in SharePoint Central Administration. Yes a month late… but, hey, it’s been a busy month! Had a grand time in New Orleans – a well put on event as always, that I was happy to be a part of, in one of the greatest cities in the world. Below are my two presentations from the event. Although it happened quite early for me in the morning yesterday (January 22st, 2011), SharePoint Saturday EMEA was a great event to be a part of. Although it lacked some of the main aspects I love at SharePoint Saturdays, such as networking, meeting new people, interacting with the crowd, etc., it was kind of nice to wake up, slug down a few cups of coffee, and present my session. Below is a copy of my slide deck from the presentation. Any questions on any of the material, please leave a comment below! Create a Custom Action to Satisfy Your “All People” Needs. 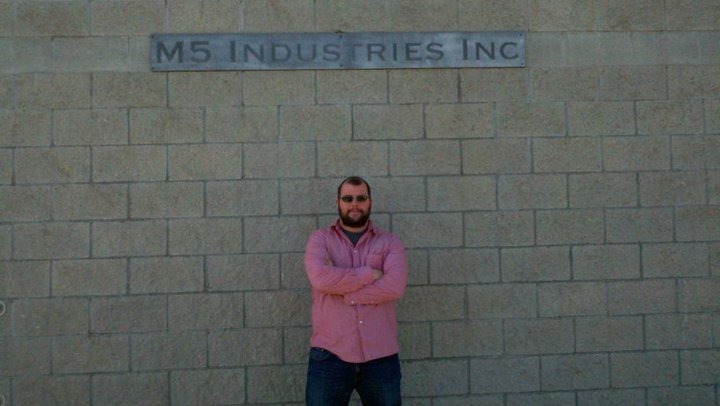 Thanks for the intro Carl! Much obliged! 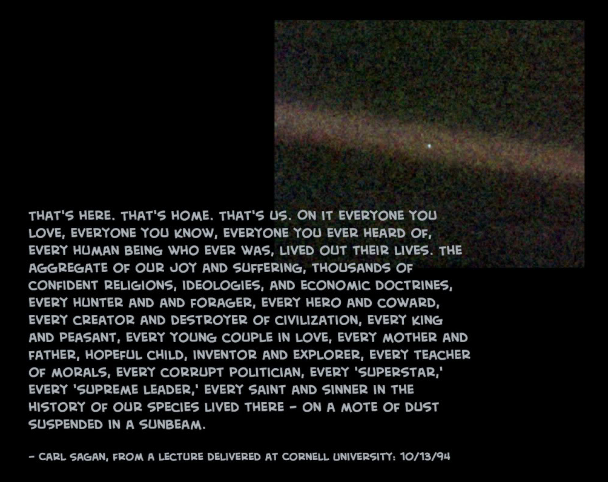 Well, in your SharePoint world, your “Pale Blue Dot” view of all of the people in your site collection is the “All People” view, you know, the User Information List. Almost two months ago, I wrote an article on how the “All People” link in SharePoint 2010 is, well, it’s gone MIA. It is easy to get to via link. And, if you’ve got one site collection to manage, well, its as simple as adding a link somewhere, like in a link list within a management site somewhere, or, up in the handy dandy bookmarking feature, in those fancy things all the kids are using these days, “web browsers”… whatever that means…? Anyways. So, you need to get there, but, wouldn’t it be nice and simple to add in a link to say, I don’t know, the Site Settings page? Wow! That’d be cool! Then I can access it with all of the other Users and Permissions links! Right in one place?! WOW! Ok, so I gave it away, shame on me, I spoiled the ending. Boo hoo. Yes, Custom Actions! That’s how we’ll get it there! So, what to do? Well, not too much actually. 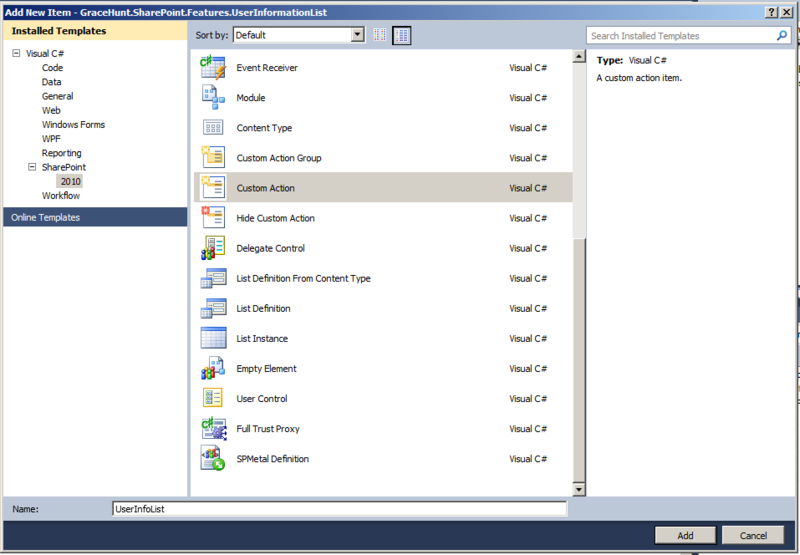 The creation of Custom Actions in SharePoint 2010 and with Visual Studio 2010 has become, well, easy. Extremely easy in fact due to the fine folks who created the CKS:DEV project over at Codeplex. Why? Well, because it contains item types with fancy pants wizards to allow you to click a few buttons, and create a custom action project with ease. You really do not even need to be a developer to do this, it’s quite easy, and hey, I provide screenshots and code. Go ahead, do it! So, let’s get started, shall we? Oh, you need a glass of water first. No problem. I’ll be here waiting for you. … 15 minutes to get a glass of water? seriously? Did you pump it from the well? Ok, so, make sure you have VS 2010 installed, as well as CKS:DEV. NO, I am not waiting this time. You lollygagged around with getting a glass of water last time… You had your chance! 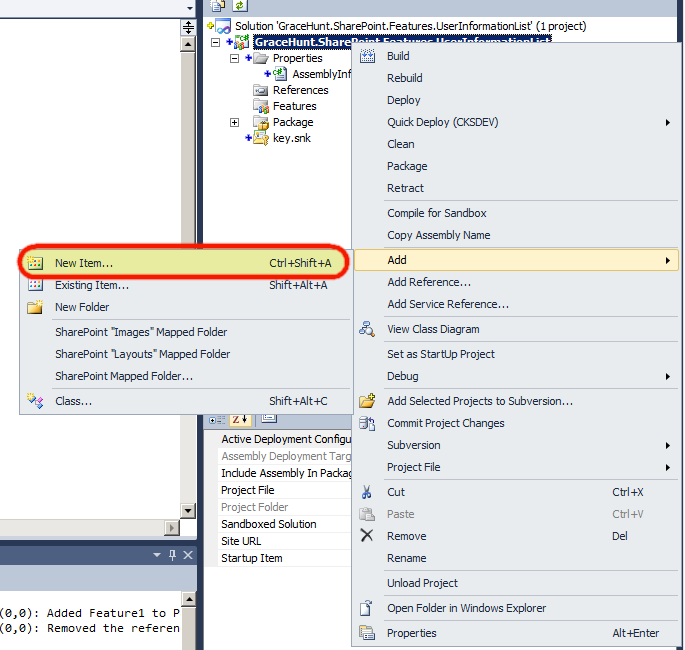 Next, once our project is loaded in the Visual Studio IDE, let’s add a new item to the project. Right click on your project, go down to Add, then select New Item. 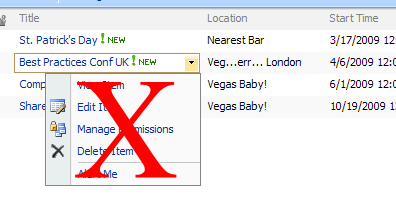 On the next screen you are presented with, make sure you have SharePoint and 2010 selected under Installed Templates. Select Custom Action, and give it a name (such as UserInfoList). Then click Add. Now, again, thanks to the fine folks who created CKS:DEV, we have wizards! Optional Text. 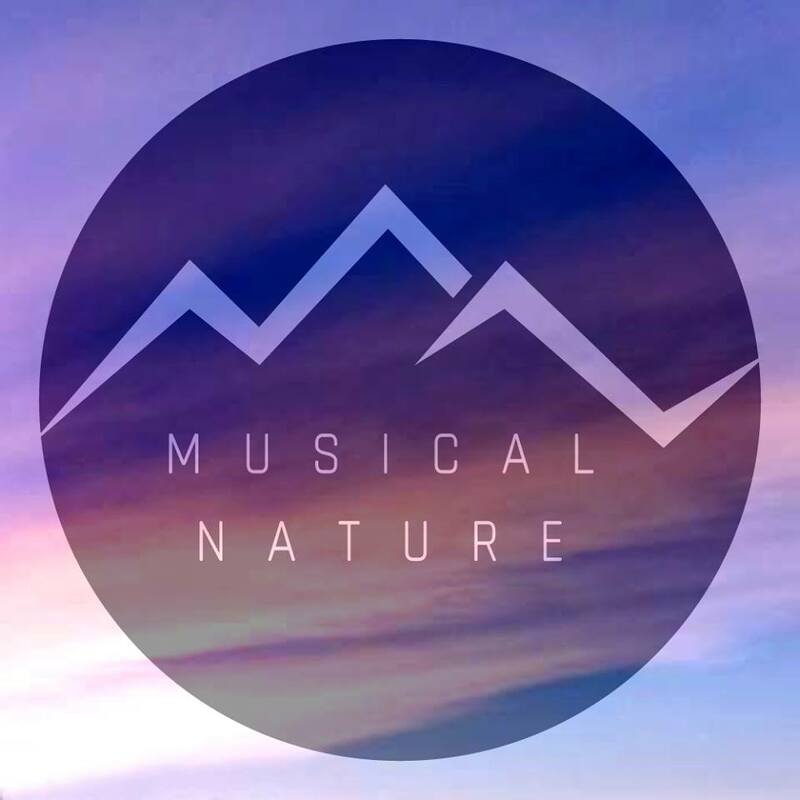 Specifies a unique identifier for the custom action. The ID may be a GUID, or it may be a unique term, for example, "HtmlViewer". Required Text. Specifies the end-user description for this action. Optional Text. Specifies a longer description for the action that is exposed as a tooltip or sub-description for the action. Optional Text. Identifies an action group that contains the action, for example, "SiteManagement". If it is contained within a custom action group, the value of the GroupId attribute must equal the group ID of the CustomActionGroup element. For a list of the default custom action group IDs that are used in Microsoft SharePoint Foundation, see Default Custom Action Locations and IDs. Optional Text. 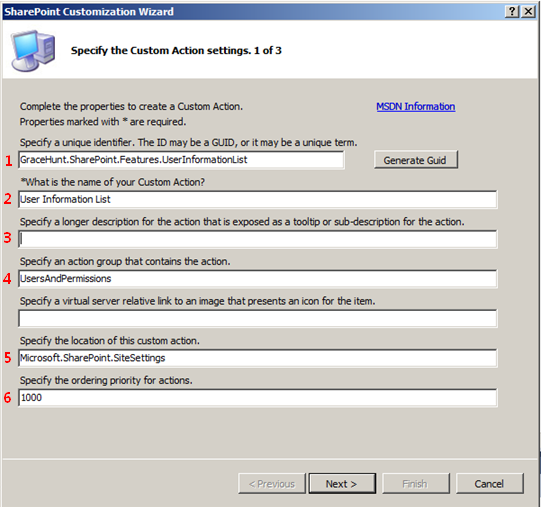 Specifies the location of this custom action, for example, "Microsoft.SharePoint.SiteSettings". If the CustomAction element contains a CommandUIExtension child element, the Location must start with "CommandUI.Ribbon". For a list of default locations that are used with the Server ribbon, see Default Server Ribbon Customization Locations. If the custom action is a menu item or toolbar button, the possible options include EditControlBlock, NewFormToolbar, DisplayFormToolbar, and EditFormToolbar. If it is contained within a custom action group, the value of the Location attribute must equal the location of the CustomActionGroup element. For a list of the default custom action locations that are used in SharePoint Foundation, see Default Custom Action Locations and IDs. Optional Integer. Specifies the ordering priority for actions. On the next page, we do not actually need to set this option, however, I wanted to, to showcase this functionality. This utilizes the SPBasePermissions class to show whether this can be viewed to the user, based on the permissions they have for this object, in this case, the site collection. On the last screen, and this is the important part, we need to specify the URL we want to have our CustomAction link to, this is the URLAction element. The ~sitecollection is a Token. More information on what tokens can be used in a URLAction can be found on slide #30 of my Creating Custom Actions in SharePoint presentation. Now that we’ve finished defining the custom action, we just have a couple of more things to do. Since we do not our feature to be called “Feature1”, right-click on Feature1 in the Solution Explorer, and choose Rename. Type it in, hit enter, all good. Next we want to remove Feature 1 from after the title of our feature. 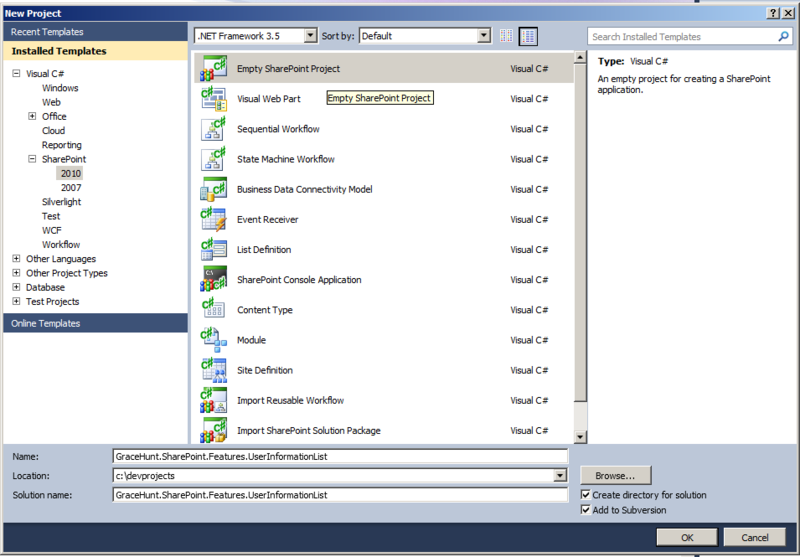 Double click on the UserInfoList feature we just renamed, and we get a designer view of our feature (new in VS 2010). In the Title field, remove Feature 1 after our feature, and add a description. Also, change the scope from Web to Site, which means we will deploy our solution to the site collection. Which also means, this link will appear for all Users and Permissions sections throughout all of the site settings pages within our site collection. Now for the money! Right click on the project and select Deploy. And now look at your site settings page – there is our new link! And that’s it! I will have this project published to Codeplex within the next few days, so, please keep an eye out.